This Thursday, Zimbabwean government announced that it would end all forced land expropriations against white farmers and will issue longer leases for their farms in an effort to boost the country's struggling economy. "Please be informed that the Minister of Lands, Agriculture and Rural Resettlement has directed that all remaining white farmers be issued 99-year leases instead of the five-year leases as per the previous arrangement," the official letter seen by the Telegraph stated. The move constitutes a major step in rectifying the disastrous effects of the "fast-track land resettlement program", which forcibly transferred land and equipment from the white land-owners to senior members of the ruling ZANU-PF party, government officials and other allies of Robert Mugabe, resulting in deaths of over a dozen farmers. The reform effectively wiped out the community of white farmers in Zimbabwe, whose number dropped from over 4,000 to 200-300 survivors. Overall, some 17mln acres of land were seized as well as the farmers' equipment, chattel and personal property worth more than $6bn. Despite its massive scale, the land reform proved to be a disaster to the agriculture-dependent Zimbabwean economy, whose exports dramatically shrank, while the country itself was rocked by a massive hunger. The severe economic problems acted as a constant source of growing political discontent in Zimbabwean society, putting the future of ZANU-PF in question. In an effort to secure the continued dominance of the party in the Zimbabwean politics, former Prime Minister Emmerson Mnangagwa led a successful coup d'état against Mugabe last year. 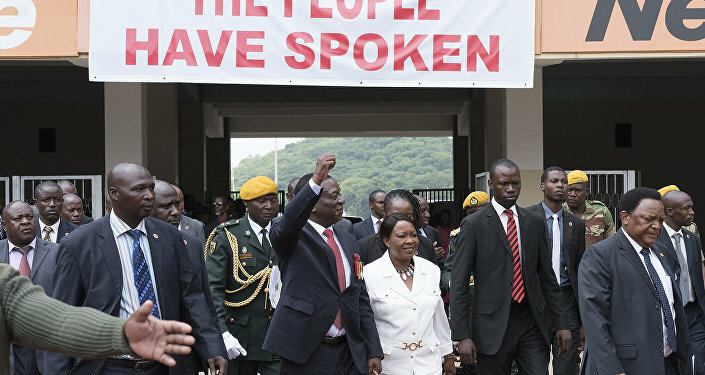 Mnangagwa has long advocated for a softer approach to the white farmers, stating that they should be paid compensation for their land and property, and the latest reversal of land reform suggests that he will seek to build working relations with the white landowners in order to improve the country's economy. Speaking to the Telegraph, Head of Commercial Farmers' Union of Zimbabwe Peter Steyl positively reacted to the news, indicating that he will be willing to work with the new president. "This is a real step forward, so we are pleased, but there is a lot that needs fixing on the land, such as dams which are silted up." "We will help wherever we can," he added. Nevertheless, another farmer, who wished to remain anonymous, suggested that the situation remains dire for the white farming community in Zimbabwe, who now occupy only small parts of their original land and face a long road to recovery. "I only have a quarter of my farm left. But I am at peace that we will now be left alone. We don't yet know what is in those leases, but I am feeling confident about the future," he told the Telegraph.